Site name: Burning Ghat , Naihati. 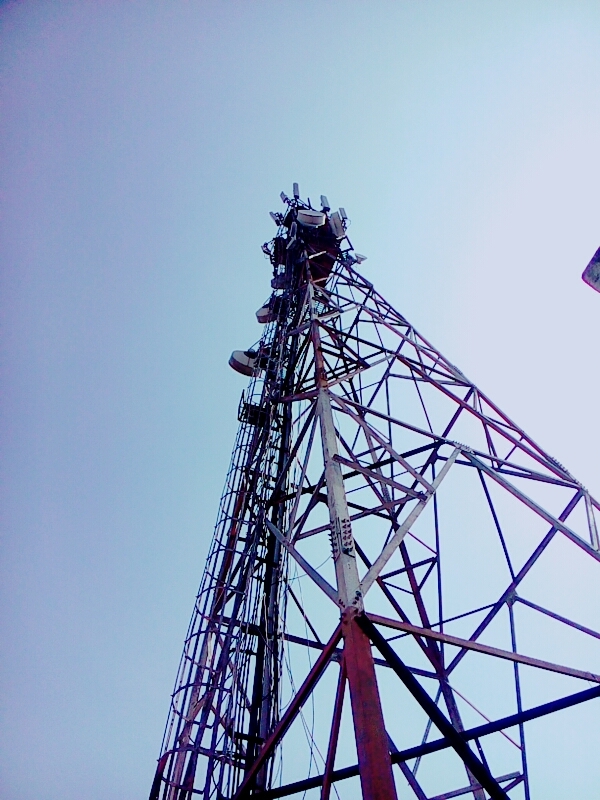 I had audited this GSM site before 1 month, then it was not on air. Just configuration parts were ready & it was finally ready to be on air. There were problems in this area for years & finally thanks to our Tech Team Tata Docomo that they blessed this area with a new GSM site. But even after the opeartional enability , there were some physical issues which I was given the responsibility to overcome the issues. Issues enlisted as The 3rd sector had some re orientation issues on clockwise, due to the physical blockings , antenna was radiating to a different direction which supposed not to be. Although after several visits to this site , those issues were open & there were no means for rectification , due to unavailability of other equipment & irresponsibility of other departments. Always a single department cant work alone, they might seek help from other departments too. It was 20th May,2015 , my superiors instructed me , as well as gave me a total responsibility of the project to have done it within this week, this was not so easy it sounds. Mainly shifting of antennas, requirement of poles this kind of physical activities doesnot come to the roles of Drive Test engineers; We need BSS engineers to have these type of works done. The problem was I need to fix some appointments with BSS Teams & discuss what need to do in this situation. before that a simple RF survey was mandatory, just thinking about the complexcity company decided to sent one RF Survey engineer with me, he went to the site under my guidance & reported that there were two micro wave poles (which are actually used for mounting micro wave antennas, not for gsm antennas, as GSM antennas are required to be mounted on seperate kind of poles). He submitted a useless report, even I countered that this would not help in anyways. As per the report ,today I was sent again with full support & responsibility that I need to finish this project without fail, with help of BSS. Thinking about the severity I cancelled my plan of waiting for my office car, boarded on train & came to Naihati at 10 AM, as per my instruction my rigger & driver came there with in time, but the BSS team messed up whole plan, I along with my men waited there at the site, remained shelterless in such heat till 2pm. finally there car arrived. I guided them towards site & instructed whatever needed. BSS also noded their heads that survey report was useless- no way to mount on microwave poles. They didnot have any new poles (requirements were not made earlier) , on other hand it was the deadline today. Finally what I planned was quite interesting & was a complete solve for the whole mess up issue. I had only issues with 3rd sector, so what I planned was to reorient 1st sector towards 3rd sector, 3rd sector antenna towards 2nd, & 2nd sector towards ist sector. & Finally in BTS swap those sectors as the antenna changes were made. This trick just solved the whole issue. Just got my work done in 4pm, I thanked my men & BSS teams for their huge support. Finally when updated my boss about the work done, earned some praise.